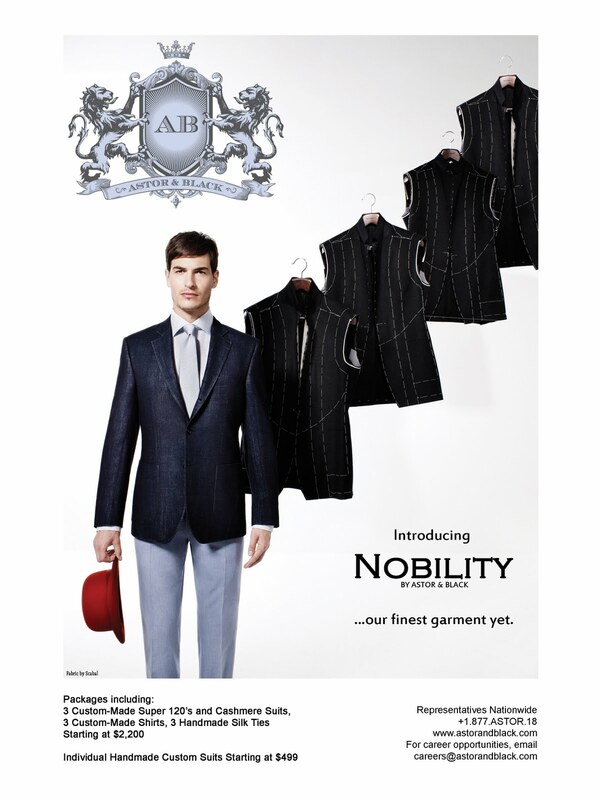 Astor & Black has announced the release of Nobility, the finest garment we have yet to produce. All garments are made in a separate tailoring facility, employing only master tailors with over 30 years of experience. Below is the latest ad in GQ featuring the introduction of Nobility. On the stands now, pick one up today!